16 years ago, I was given a cute and lovely bundle of joy --- NaNak. I actually had to go through 30 hours of labor pain before she was brought into this world. and it is also you who allowed me to celebrate so many meaningful Mother's Day. 1) Grease the tin with butter. 2) Mix crushed biscuits with melted butter in a bowl. Press the mixture evenly at the bottom of the tin and chill. 3) Beat softened cream cheese with castor sugar until light and fluffy. 4) Add in eggs one by one, mix well after each addition. 5) Add in lemon juice,lemon zest and yoghurt then mix until it becomes a smooth cheese mixture. 6) Pour the cheese mixture onto the chilled base. Put the cake tin in another tin filled with water. Bake in a preheated oven at 160°C for 50 minutes,then turn down to 150°C for 20 minutes. 7) Remove from the oven,let it cool,chill in the fridge for 1 hour. Remove from fridge sprinkle icing sugar on the top and decorate as desired. 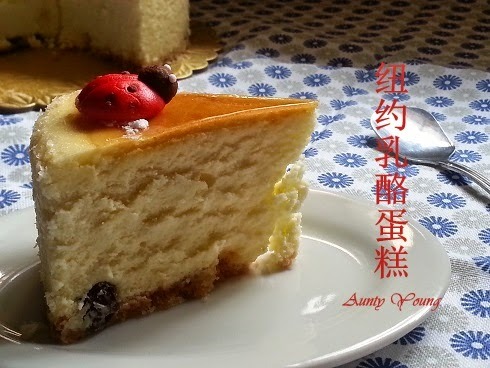 I have noticed that you have baked many versions of cheesecake recently. 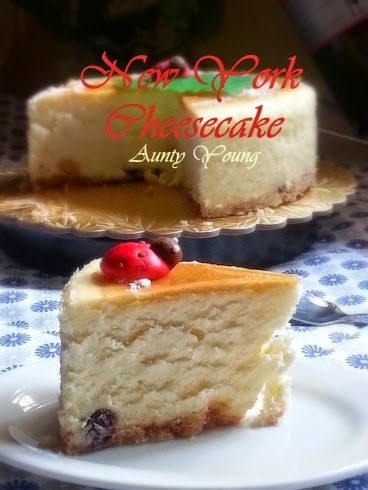 Oh, I can't let you know which versions I like most but I guess I can say is, I like all of it including this New York Cheesecake! I reckon that you loves cheesecake alot. Actually Na Nak is the one who loves cheese cake very much. I scar fat even I like cheesecake but i don't eat much. 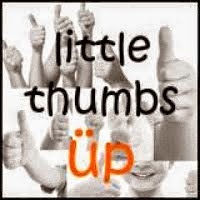 Thanks for your liking my sharing. You are so kind and loving . 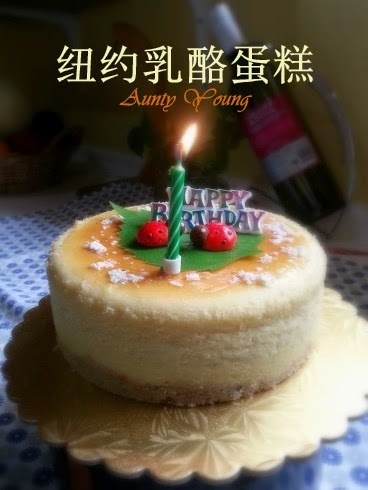 Aunty Young you truly expressed a mother's love. Happy birthday to your precious. 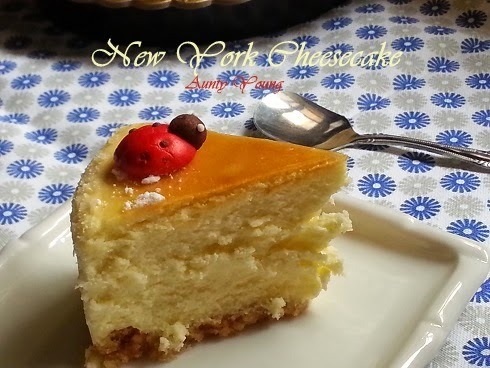 Oh yes, what a lovely New York cheesecake. Happy Birthday to your darling. You are an amazing mum. Aunty Young, happy birthday to Nanak! I wish you could like this post to LTU before the links closed up today and thanks for your continuous support in the LTU event! Happy Belated Birthday to your gal! 伟大的母爱 truly indeed ... Blessed Birthday to your princess ^-^! Aunty Young, your daughter is a blessing to you! Happy Birthday to your girl! 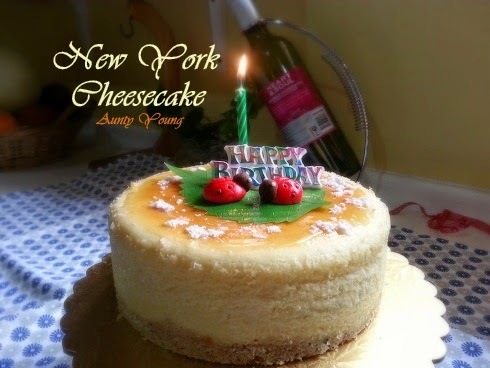 Love that NY Cheesecake yum! yum! Your Nanak's birthday is in June，same as mine. I am going to post my birthday cake later this week. Happy Birthday to your pretty princess.